Costa Rica is a country of volcanic origin and its majestic mountains form the climate barrier between the Atlantic and Pacific areas. 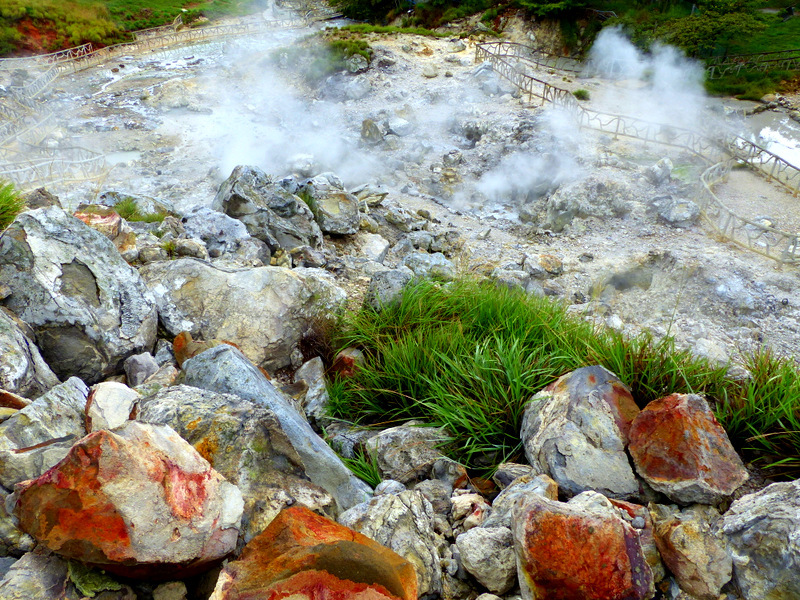 Seven of our volcanoes are active and it is a humbling feeling to see the hot gases coming out of the ground next to bubbling hot mud pots and boiling sulphur lakes. 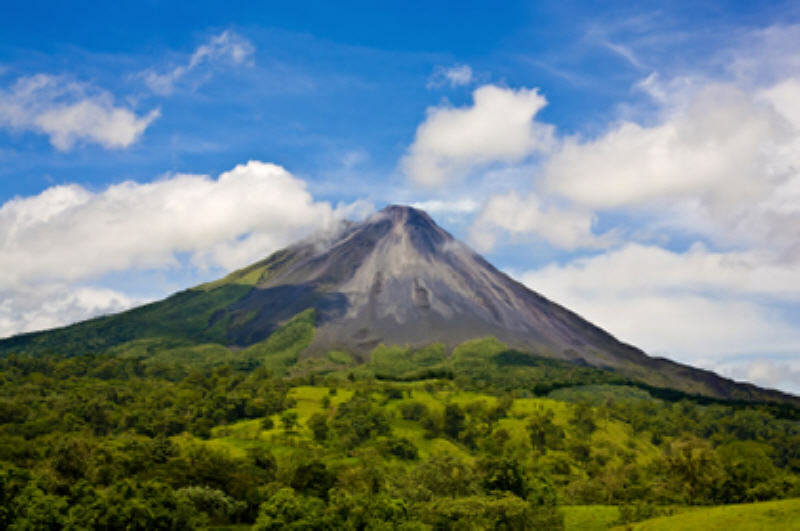 Four of Costa Rica's most active volcanoes are easily reachable from the Northwestern Area along the coast and we will take you there to see the mighty wonders of nature! On this trip we take you through Sugarcane and Cantaloupe plantations into the Palo Verde wetlands famous for its abundance of wildlife and breeding grounds for myriads of birds and crocodiles! We will take a boat tour into this unique nature reserve where we will spot lots and lots of wildlife (crocodiles, monkeys, birds, iguanas, bats and more) at close and safe distance. We will also get treated to an authentic Costarican Lunch in a local restaurant before returning home early so you can enjoy the second part of the day at the beach! NOTE: This trip can be combined with either Zip-Lining (F-14) or Coffee Tour (C-20) for an extra fee. *Lots of Wildlife! Great photo opps – simply a must do! Our Miravalles volcano tour takes us first to the beautiful “Llanos de Cortes” waterfall where we can enjoy a swim under the pristine cascades surrounded by the breathtaking beauty of this unique place. Next we will take an easy hike with 2 hanging bridges through the rainforest where we will find 3 more waterfalls! After the active morning we will have a strengthening lunch and then we will walk through an active crater where we can appreciate lots of geothermal activity (fumaroles & bubbling mud pots). We will end the day at Miravalles with a natural sauna, mud baths and hot springs for relaxation. *A full day of Waterfalls, Volcano, Rainforest and Relaxation! Our tour takes us to the “Tenorio volcano” where we will pass the climate divide and find ourselves within Costa Rica’s tropical rainforest! A beautiful area and fresher climate than our beaches! We will start our day with a 2hr hike through the rainforest reserve and along some breathtaking hanging bridges from where we can appreciate this extraordinary ecosystem. We already may find lots of wildlife here otherwise we will definitely see lots of wildlife during our next and easy walk through a smaller reforestation reserve which is great to spot sloths, tree frogs, poison dart frogs, birds and also learn more about this ecosystem, reforestation and organic farming efforts in Costa Rica! Between both hikes we will have a delicious lunch! *A beautiful journey into the world’s most biodiverse ecosystem! After finishing the active part of the day we will relax in the natural volcanic hot springs, have an early dinner and then return home to the beaches! *A full day of unforgettable experiences in the face of the Volcano! The Tropical Cloud Forest is one of the rarest ecosystems in the world and located along Costa Rica’s mountain range that defines the climate divide. Here you find cooler climates, very dense vegetation, lots of orchids, bromeliads and hummingbirds with the clouds travelling through the forest and creating a mysterious atmosphere. *A journey into a world of fairy tales! 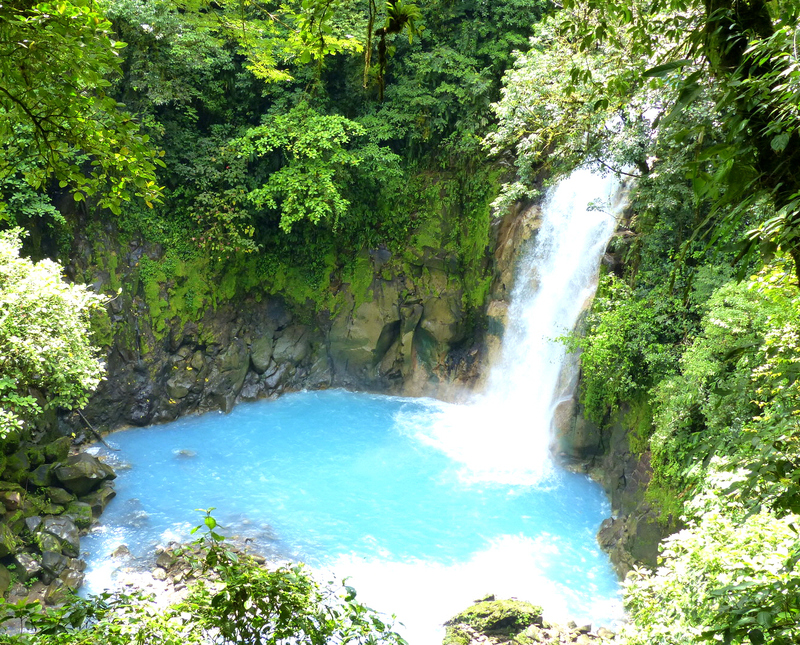 Rio Celeste inside the Tenorio Volcano National Park is one of the most beautiful sights in Costa Rica and we will take you on a magical hiking adventure to see this natural wonder! Along our hike we will see the waterfall of luminescent blue waters, blue lagoon, bubbling river and the exact spot where this blue river has its beginning! Be prepared for a physically challenging day with lots of hiking and chances to get your shoes dirty! We will also receive a well-deserved lunch and additionally stop along our way home at the “Llanos de Cortes” waterfall (weather allowing) to take a dip in its beautiful water! *A magical experience at one of the world’s most picture-perfect sights! Barra Honda National Park protects Costa Rica's largest system of still mostly unexplored limestone caves settled within the Tropical Dry Forest and representing one of the oldest geological formations that you can find here! During your tour we will hike through the dry forest (2hrs approx.) and have good chances of spotting local wildlife, for example monkeys, deer, lots of bird species, lizards and beautiful butterflies. We will enjoy a breathtaking view towards the Tempisque River bassin before we will arrive at the entrance to the "Terciopelo Cave" - the onlt one oipen to public. Here we will get suited with harnesses and helmets and descent along a 60ft ladder into the beautiful limestone cave where we will explore the beauty of its different shapes deep in the ground. This trip will be complete with a good costarican lunch! *Special Trip into the more unknown areas of Costa Rica for physically fit adventure seekers! Rincon de la Vieja is the closest acvtive volcano from the beaches in Guanacaste. On this tour we will take a nice hike in the National Park that takes us by a seasonal waterfall, primary forests and lots of volcanic geothermal sites (fumaroles, bubbling mud pots, sulphur lakes,...). The trail is not difficult to walk but basic fitness is needed as we'll be hiking for about 2-2.5hrs including some steeper sections. If we are lucky we will also be able to see some of the area's typical wildlife (monkeys, deer, birds, reptiles, etc...) but definitely it is a beautiful experience in one of Costa Rica's most famous National Parks! On our way back from the volcano we will stop in Liberia for a great traditional Costa Rican lunch before returning back to the beaches. *Optional: We can exchange the Sulphur Trail hike for a more challenging hike within the National Park through primary forest and old lava flows to one of Costa Rica's most beautiful Waterfalls with opportunity to swim. This would be a 4hr hike - please request rate! *Beautiful trip to one of Costa Rica's most active volcanoes along with its breathtaking nature!